Air pollution is still the biggest threat to our planet. Breathing contaminated air has a negative impact on our health, and children are the ones who suffer the most serious consequences. According to experts, air pollution is not only responsible for respiratory diseases, but it can also affect a child’s brain development, create abnormalities and lower the IQ. The health experts conducted several studies and discovered that the working memory capacity of children living in urban areas is 4-5 percent lower than children living in rural areas due to effects of the pollution. S.P. Byotra, Head of Department of Internal Medicine at Sir Ganga Ram Hospital explained that children are more susceptible to negative impact of air pollution due to the fact that they breathe more air in proportion to their body weight and that their immune system and lugs aren’t fully developed . Byotra claimed that even the indoor environment isn’t pollutant-free, and that children are exposed to toxic materials such as lead in paints and toys, emission from cooking stoves, and tobacco smoke, which affect their brain development. 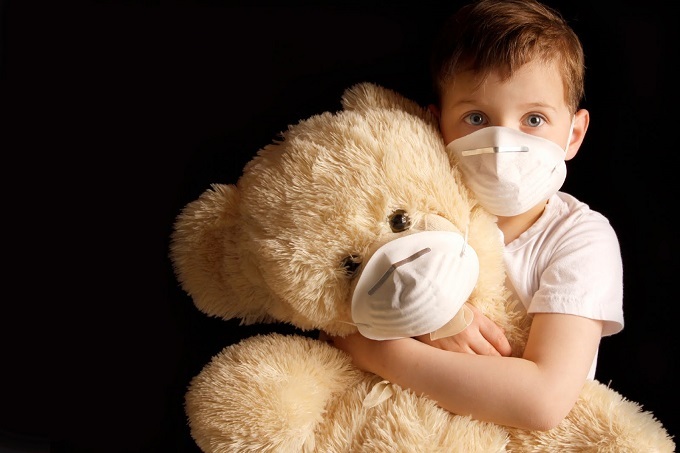 Sara Grineski, a Sociology Professor at the University of Texas at El Paso, claims that children experience developmental or neurocognitive delays linked to exposure to pollution. Grineski recently co-authored a study showing that young children who are exposed to toxic air pollutants are more likely to have poorer academic results. Another study published in PLOS Medicine, a peer-reviewed weekly medical journal, showed that the air pollution not only causes respiratory problems but can also affect the brain development of children of all ages, including the ones who are still in the womb. Medical experts claim that millions of children exposed to toxic levels of indoor and outdoor pollution were showing brain detrimental effects and exhibiting brain abnormalities. Tobacco dust, indoor air pollution and airborne polycyclic aromatic hydrocarbons were the greatest contributors to pollution. Indoor pollution seems to be even more dangerous, according to Raj Kumar, Head of Respiratory Allergy and Applied Immunology at Vallabhbhai Patel Chest Institute. "Indoor air pollution is one such health hazard which silently enters our body and incapacitates us from the inside. Its quality is equally or more dangerous than outdoor air pollution. Since we spend more time indoors, naturally the risk associated with indoor air is more," said Kumar. Air pollution is a global problem, with some countries being particularly endangered, such as India and Mongolia. India suffered the worst-case scenario, since World Health Organization conducted a survey in 2015 and concluded that Delhi is the most polluted city in the world. A recent study by Berkeley Earth, a research organization based in California, concluded that air pollution contributes to the deaths of approximately 1.6 million people in China each year. The problem is growing and it’s high time for us to take this thing seriously. How to shelter children from air pollution? Combating outdoor pollution is a bit harder to do on your own, but there are changes in everyday life you can make to help the environment. You can contribute by recycling and using a bike as means of transport instead of a car. However, when it comes to your home, there are plenty of things you can do to shield your family from pollution. Clean and safe indoor environment is a prerequisite for ensuring your children’s health. There are natural ways of cleaning the air, like adding plants to your home to make the air fresh. You can also consider using hepa air purifiers to ensure an optimal air quality for your child. Experts suggest that consuming food that is rich in antioxidants can shelter you from pollution. These include all the fruits and vegetables, especially those rich with Vitamin A and Vitamin C. Olive oil also provides protection against the damages caused by air pollution, so you should use it in your daily nutrition. Medical experts claim that air pollution has a negative influence on a child’s brain development. There are steps we can take to ensure that our children grow in clean and healthy environment.